On his second day in office, Carter pardoned Vietnam War draft evaders. 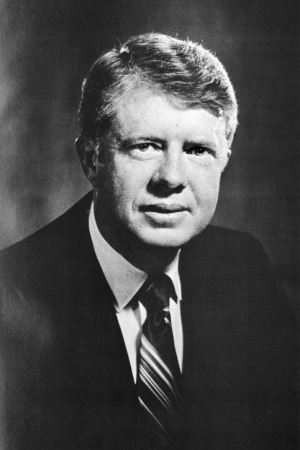 On April 18, Carter delivered a televised speech where he compared the energy crisis with the "moral equivalent of war." On September 17, Carter oversaw the signing of the Camp David Accords between Israel and Egypt. On March 26, Egypt and Israel signed a peace treaty in Washington, D.C. based on the Camp David Accords. 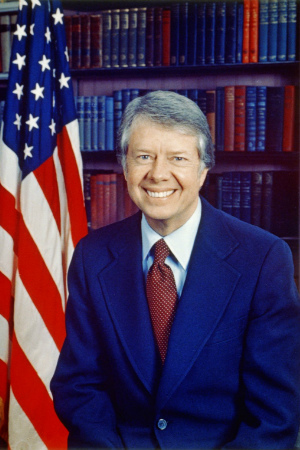 On July 15, Carter delivered televised speech on the nation's "crisis of confidence." On November 4, sixty-six Americans taken hostage at the U.S. embassy in Tehran. Fifty-two of the hostages remained in captivity for 444 days. They were released on Reagan's inauguration day. On April 22, the U.S. Olympic Committee supported Carter's protest of the Soviet invasion of Afghanistan why voting to boycott the Moscow Summer Olympics. Facts about Carter and his presidency. From a PBS broadcast of the same name, this essay excerpt by Hendrik Hertzberg discusses some of the issues and events that molded Carter. Carter biography with more infromation about his time in state government. 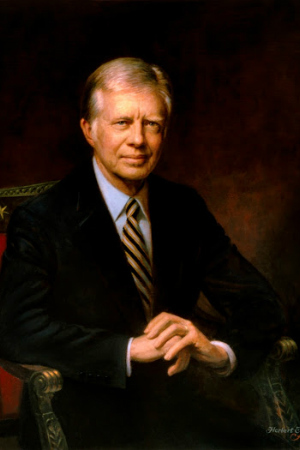 An brief examination of the Carter presidency's highlights and lowlights. A public policy institute founder by Carter in 1982. Located in Atlanta, Georgia, current interviews, speeches, and opinions by Mr. and Mrs. Carter, as well as news, programs, and tour information are available. Tourist information on the Carter residence, boyhood home, high school and visitor center in Plains, Georgia. Research center and museum exhibits on the Carters located in Atlanta, Georgia. 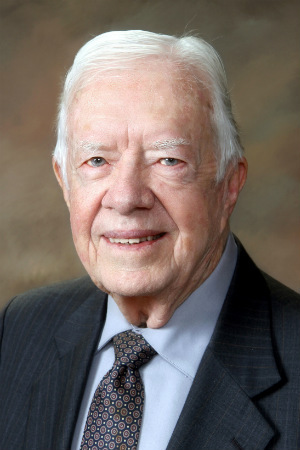 On March 22, 2019, Carter became the longest living US president at 94 years, 172 days old surpassing George H.W. Bush. 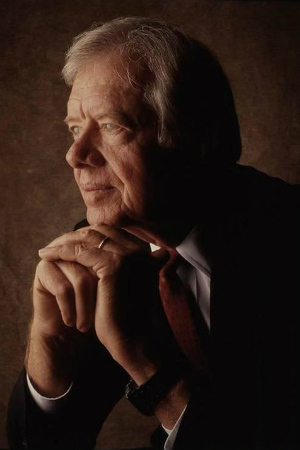 Carter has had the longest post-presidency at over 38 years. Carter was the first president to serve a full term and not nominate a Supreme Court justice. 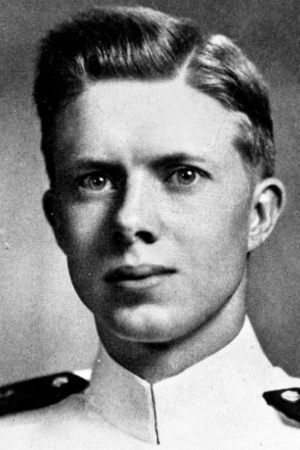 Carter was the first president born in a hospital. Carter was the first president to attend the U.S. Naval Academy. Carter's father owned a peanut farm. Carter was the first president to host an official papal visit when Pope John Paul II visited the White House in 1979. In 1942 Carter won the election for Georgia State Senate. Initially his opponent was declared the winner but it was proven that voter fraud had been committed. Carter was declared the rightful winner. 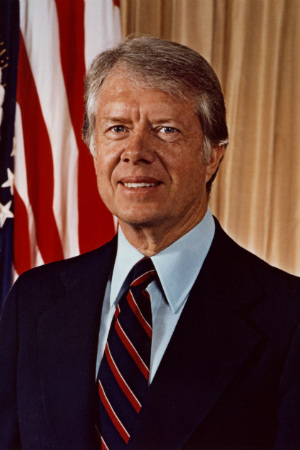 In 2002 Carter was awarded the Nobel Peace Prize.